Tampa’s Lowry Park Zoo hosts the cultural event of the season, Zoominations. A dazzling exhibition of colossal lanterns sprawling over 26 acres, it’s an unforgettable journey through the ancient Chinese art of lantern sculpture. Wander past giant glowing pandas, zebras and mythical creatures. Marvel at millions of LED lights and lanterns constructed in a variety of styles and materials that range from silk to dinnerware. 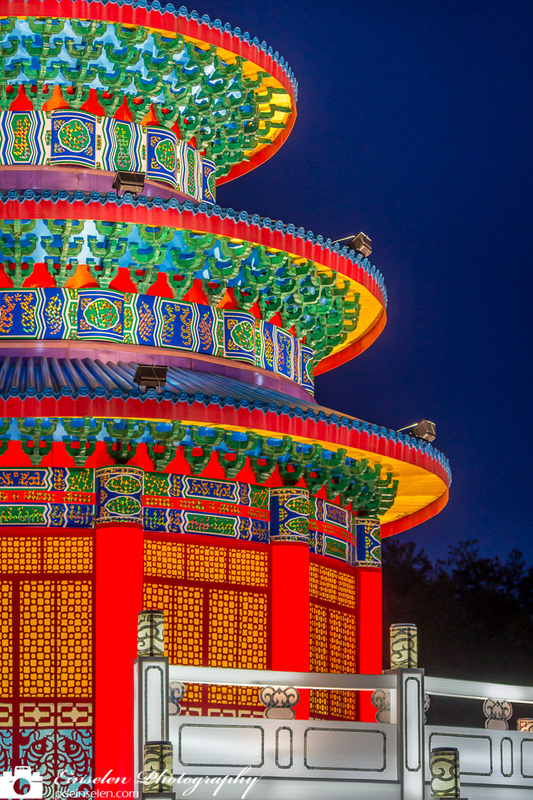 Temple of Heaven: This temple was built for the emperor between 1406 and 1420. It’s the highest standard of architecture in ancient China, because it is the symbol of heaven. The original temple is four times this replica and located in Beijing. The ancient art of Chinese lantern making began in the Han Dynasty (206 B.C. to 220 A.D.), a time of invention and science. Used originally for lighting, the lanterns evolved into an art form and became a significant part of festivals. Original lantern construction varied according to purpose. Palace lanterns were silk or glass over fine wood. Gauze lanterns, the traditional red lantern recognized around the world, used red gauze stretched over bamboo. Shadow-picture lanterns used a paper wheel inside which turned when heated, creating moving pictures around the outside of the lantern. Copy courtesy of Lowry Park Zoo. Zoominations has been extended through June 28th and is a separate ticketed event 7-10PM Wednesdays through Sundays. For more information visit Lowry Park Zoo’s website at http://www.lowryparkzoo.org/lantern/.